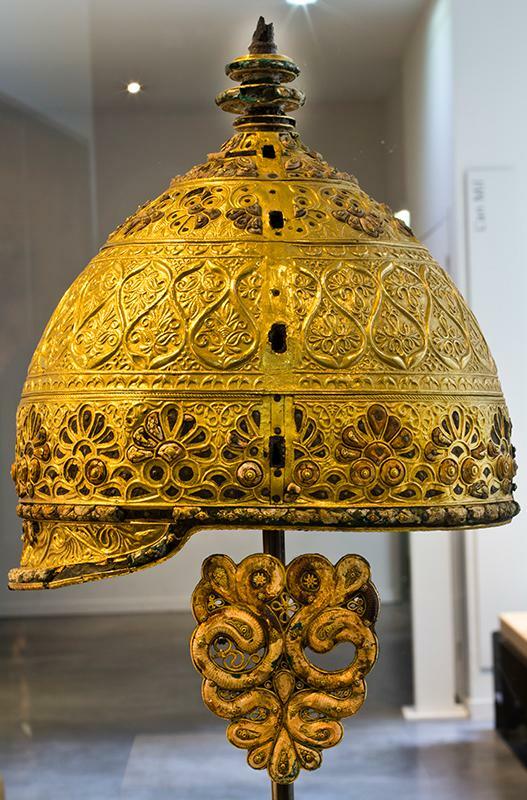 Very beautiful helmets of the Gaulish Celtic period, few of them have been found to date. From Normandy to Charente, two of the beautiful ceremonial Gaulish helmets. 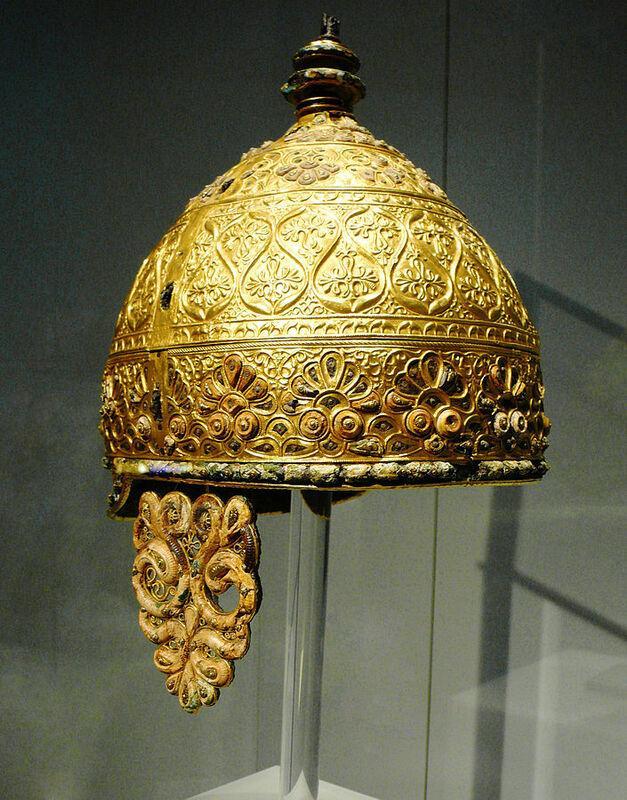 The ceremonial Helmet of Amfreville found in North-West of France, dated from – 250 BC. 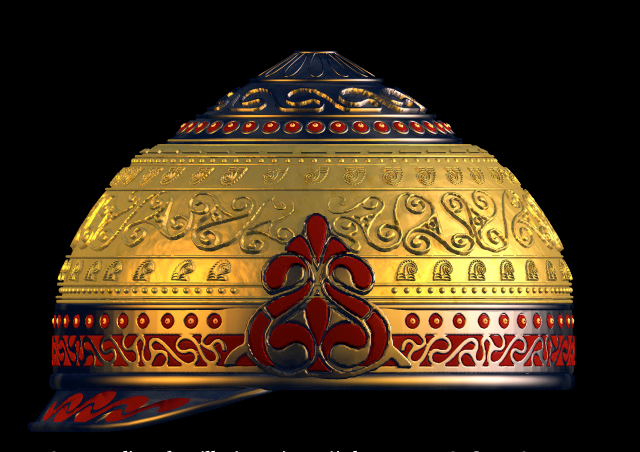 3D rendering of the Amfreville helmet, made by Jean-René Chatillon. The ceremonial Helmet of Agris is a bit older, found in West of France, dated from -400 to -350 BC. 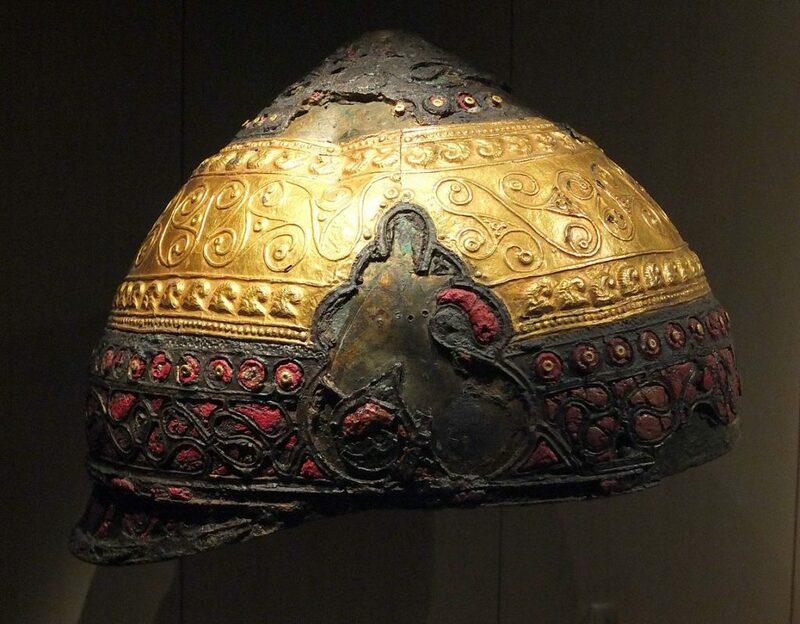 Made of an iron hull, with bronze ornamental strips and a decoration in light relief, entirely covered with 99% pure gold leaf, as well as many corals adorning the perimeter and the cap. Coll. du Musée d’Angoulème by DIGISCAN3D, on Sketchfab. Find a blog post entirely on this topic here (in french) with graphics from this item itself.